Found 184 blog entries tagged as "10303". 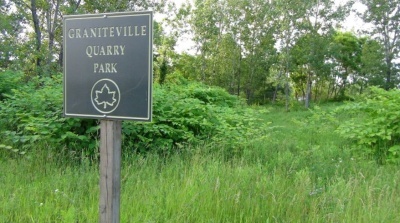 Graniteville Quarry Park: Graniteville, Staten Island: Named after old neighborhood quarry. Tuesday, January 29th, 2013 at 12:46pm. On the North Shore of Staten Island, there is the neighborhood of Graniteville. This neighborhood received its name from the quarry of granite that ran through the area. Between the mid-to-late 1800s, the granite was quarried for the building of roads and walls on Staten Island. It was not until years later that it was found that the quarry was actually made up of diabase, and not granite. Saturday, June 9th, 2012 at 11:30pm. On January 30, 1952, the City of New York acquired a parcel of land which was made up of only three acres. 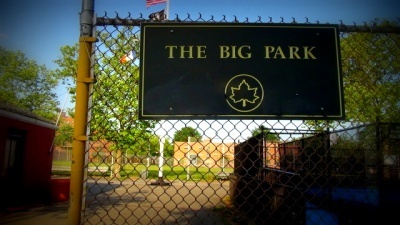 The site was owned by the New York City Housing Authority, who had a housing complex built on an adjacent lot, at 200 Lockman Avenue. The housing complex became known as the Mariners' Harbor Houses, due to the fact that it is located in the neighborhood which bears the same name. 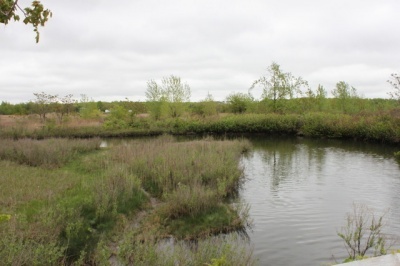 On June 27, 1957, the New York City Housing Authority leased the three-acre parcel of land to the New York City Department of Parks and Recreation. There, they constructed what would be known as the Mariners' Harbor Houses Playground. Thursday, May 3rd, 2012 at 7:59am. In 1675, a couple from Warwickshire, England immigrated to America. This couple, Mr. and Mrs. Richard Merrill, settled in Staten Island, where they owned much land. By 1683, the area in which they resided came to be known as the town of Northfield. Beginning in 1866, the towns were dissolved and smaller villages were created. These villages became neighborhoods, in which you will find even smaller communities today. Now, the area in which Mr. and Mrs. Richard Merrill originally moved is known as Bloomfield. Wednesday, May 2nd, 2012 at 7:36pm. 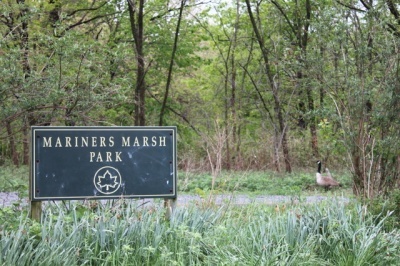 Located on the North Shore of Staten Island, in the neighborhood of Mariner's Harbor, is Mariners Marsh Park. It is on the western section of the North Shore and is bordered by only two streets. The park is bound by Richmond Terrace to the north and Holland Avenue to the east. Wednesday, October 26th, 2011 at 8:12am. For years, ferries serviced the island, taking residents from Staten Island to New Jersey and vice versa. During the late 1860's, the idea of a bridge connecting the two was introduced. In 1890, a railroad bridge was constructed, connecting Elizabethport, New Jersey and Staten Island's Howland Hook Marine Terminal. After the First World War, which lasted from 1914 to 1918, the demand rose for a bridge that could accommodate automobile traffic. 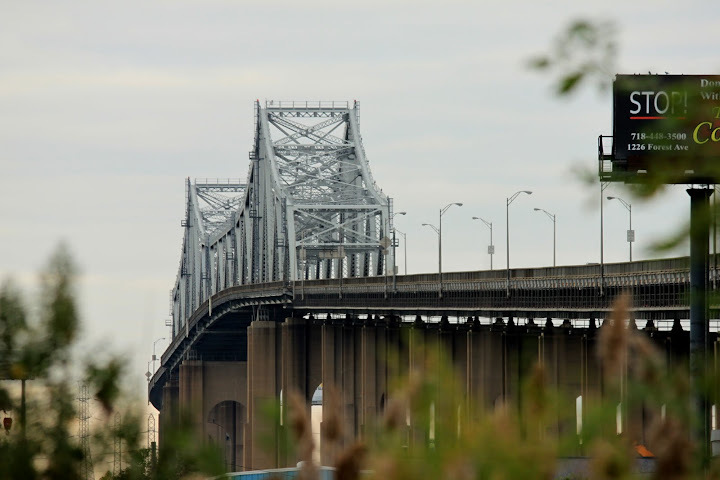 By 1923, the New York and New Jersey Bridge and Tunnel Commission announced that they would be constructing two bridges that would serve such a purpose; one connecting northwestern Staten Island to New Jersey and the other connecting southwestern Staten Island. Monday, October 24th, 2011 at 8:29pm. Thursday, September 29th, 2011 at 3:31pm. On 3/2/2005, 80 Wolkoff Lane was publicly recorded as sold for $227,900. This is a condo in the neighborhood of Bulls Head, Staten Island, 10303. This residence was built with a living space of 999 square feet on 134757 square feet of land in 0. It is located on block 1668, lot 1128. Thursday, September 29th, 2011 at 3:30pm. On 2/11/2005, 65 Wolkoff Lane 1 was publicly recorded as sold for $206,000. This is a condo in the neighborhood of Bulls Head, Staten Island, 10303. This residence was built with a living space of 1384 square feet on 328040 square feet of land in 0. It is located on block 1651, lot 1027. Thursday, September 29th, 2011 at 3:29pm. On 11/30/2005, 62A Wolkoff Lane was publicly recorded as sold for $222,500. This is a condo in the neighborhood of Bulls Head, Staten Island, 10303. This residence was built with a living space of 885 square feet on 144528 square feet of land in 1983. It is located on block 1668, lot 1003. Thursday, September 29th, 2011 at 3:28pm. On 9/12/2005, 62 Wolkoff Lane was publicly recorded as sold for $214,500. This is a condo in the neighborhood of Bulls Head, Staten Island, 10303. This residence was built with a living space of 885 square feet on 144528 square feet of land in 1983. It is located on block 1668, lot 1009.